The disastrous G7 summit in Canada was a classic display of Donald Trump’s style of “negotiation” — one which combines self-pity, threats, and grandiose and impractical proposals. But just as most of America’s allies recoil in horror at the US president’s trade diplomacy, Mr Trump has found an admirer in Boris Johnson. It is a very good thought, but not for the reasons that Mr Johnson thinks. There are close parallels between the Trump style of trade negotiation and that favoured by hardline Brexiters such as the foreign secretary. These similarities explain why both men are likely to damage their own causes, creating “all sorts of chaos” without any compensating gains. There are three key shared characteristics to the Trump-Johnson style. The first is the belief that big ideas matter much more than detailed knowledge. The second is an over-estimation of your own strength that sets you up for failure. Finally, there is the tendency to turn friends into enemies. Mr Trump’s supporters are chortling that the president’s sudden advocacy of total free trade at the G7 summit has exposed the other leaders as hypocrites. But their bafflement stems from the fact that, unlike the US president, the other G7 leaders have some understanding of the complexities involved in international trade. For example, Mr Trump’s suggestion that all subsidies should be abolished is something that the EU has been pursuing internally for decades. In practice, it requires bureaucrats and politicians to agree on what constitutes a subsidy, and then to draw up rules and submit themselves to binding judgments by international institutions. This is just the kind of international governance that Mr Trump despises. Mr Johnson also thinks it is the big picture that matters, and that the tiresome details can be sorted out by underlings. So he refuses to believe that keeping the Irish border open after Britain leaves the EU is a real problem, rather than a trivial objection thrown up by officials. The foreign secretary airily dismisses the idea that there will be chaos at ports and borders in the event of a “no deal Brexit”. After all, great men like him do not bother with tedious technicalities such as supply chain management. As far as Mr Johnson is concerned, the problem with the Brexit negotiations is that the British have not been tough enough. They should be more like Mr Trump and threaten not just to walk away from the table, but to turn it over. What Mr Johnson ignores is that Britain has already tried this. The negotiations began with brave British cries of “no deal is better than a bad deal”. You do not hear so much of this now because it has become evident that this is clearly not true. “No deal” would be disastrous for Britain, with crucial areas of commerce, such as pharmaceuticals, finance and aviation, stuck in legal limbo. The mistake made by Mr Johnson was to assume that because the EU enjoys a trade surplus with the UK, it would never dare disrupt its trading relationship with Britain. But the European market is far more important to Britain, in percentage terms, than the British market is to the EU. The EU has also concluded that there are important principles at stake, and that conceding to Britain might unravel the entire EU internal market. So Brussels has been unyielding and the Brexiters’ bluff has been called. Mr Trump belongs to the same school of non-thought as Mr Johnson and is making a very similar error — assuming that because the EU enjoys a trade surplus with the US, it will inevitably buckle. At first sight, it seems reasonable to assume that the US is much better placed to push around its trading partners than Britain is. There are some countries such as Canada, which sends 70 per cent of its exports to the US, that are particularly vulnerable. And in some areas, the US does have a massive power advantage. In particular, military might and the role of the dollar in world finance. But trade is much more of a level playing field. The EU can retaliate against the Trump tariffs quite easily — by targeting American industries, such as farming. Meanwhile, Mr Trump’s tariffs on steel will cause pain inside the US by raising the cost of inputs for industry. The fact that Mr Trump has chosen to take on so many countries simultaneously means that US businesses may struggle to find alternative suppliers. Both Mr Trump and Mr Johnson lack the empathy to realise that, if you kick old friends in the teeth, they are unlikely to respond in a cheerful and friendly manner. Many of Britain’s EU partners felt angry and betrayed after the referendum in June 2016. And they were particularly furious with Mr Johnson who they saw as the face of Brexit. As a result, they are still reluctant to make any deals that might look like “rewarding” Mr Johnson. Mr Trump may discover that his bullying tactics on trade backfire in the same way. Central banks in Europe on Thursday signaled different outlooks toward rate increases, suggesting the divergent paths of the world’s largest central banks are gripping smaller ones too. The Bank of England held its benchmark interest rate steady at 0.5%, but officials said they expect economic growth in the U.K. to pick up in the months ahead following a soft start to the year, setting the stage for a rise in borrowing costs this summer. Norway’s central bank also stayed on hold but said rates will probably go up in September. 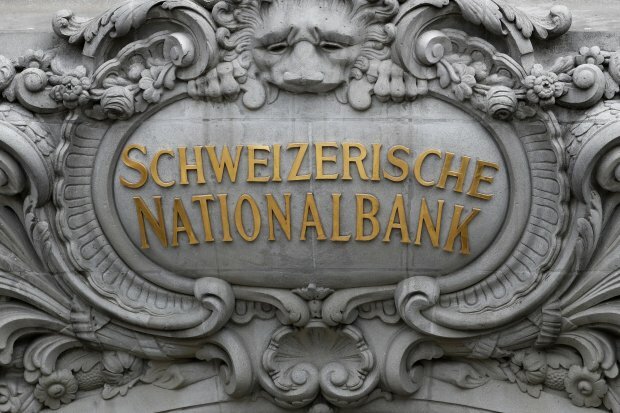 In contrast, the Swiss National Bank kept its key policy rate in deeply negative territory and signaled no forthcoming changes despite signs of healthy economic activity and slowly rising inflation, as the bank remains constrained by the actions of the European Central Bank. Divergence among major central banks has emerged as a key theme recently with potential repercussions on stock, bond and currency markets. The shifting policy landscape comes against a backdrop of rising uncertainty over the outlook for the global economy, with mounting fears over the prospect of a trade war and signs that a spell of synchronized global growth is coming to an end. Last week, the Federal Reserve raised short-term interest rates while the ECB signaled an end to its bond program but also said it probably wouldn’t raise rates at least until September 2019. The Bank of Japan, meanwhile, maintained its ultra-easy policies including a minus 0.1% deposit rate and government bond buying. The BOE has said that it expects to raise its benchmark interest rate around three times over the next three years to bring inflation in the U.K. back to the central bank’s 2% goal. On Thursday, Chief Economist Andrew Haldane joined two other officials on the BOE’s nine-member panel in calling for an immediate rise in borrowing costs, citing mounting inflationary pressure. The majority preferred to wait, but economists anticipate the BOE will follow the Fed in nudging up short-term borrowing costs as soon as August. Norway’s central bank kept its key policy rate at a record low of 0.5% but said this would probably go up in September. “The outlook for the Norwegian economy suggests that it will soon be appropriate to raise the key policy rate,” it said. The Norges Bank forecast in its June Monetary Policy Report that the key policy rate will be “somewhat above 2%” at the end of 2021, though Kari Due-Andresen, an economist at Handelsbanken, said that’s too ambitious. “The Norges Bank expects seven rate hikes by year-end 2021, but we believe it will manage only three,” Ms. Due-Andresen said. The SNB left its deposit rate at minus 0.75% as widely expected by economists, where it has been since January 2015. It also said the Swiss franc is “highly valued” and that it was willing to intervene in currency markets, if necessary, should the franc strengthen too much. The lion’s share of Swiss exports go to the eurozone, so it is difficult for the SNB to tighten policy ahead of the ECB for fear of strengthening the franc. The euro traded at 1.1487 francs after the SNB’s decision, down 0.4% from Wednesday. The pound rallied after the decision, having traded around a seven-month low earlier in the day. The SNB’s ultra-easy monetary policy seems at odds with economic figures showing solid growth. The economy has expanded in the 2% range in recent quarters, and a government expert group said this week that it expected 2.4% growth in gross domestic product this year. However, the SNB said downside risks have intensified recently, citing the potential fallout of greater trade protectionism on the trade-dependent economy. BERKELEY – The majority of Italians want two things: new political leadership and the euro. The question is whether they can have both. The point about new leadership is uncontroversial. 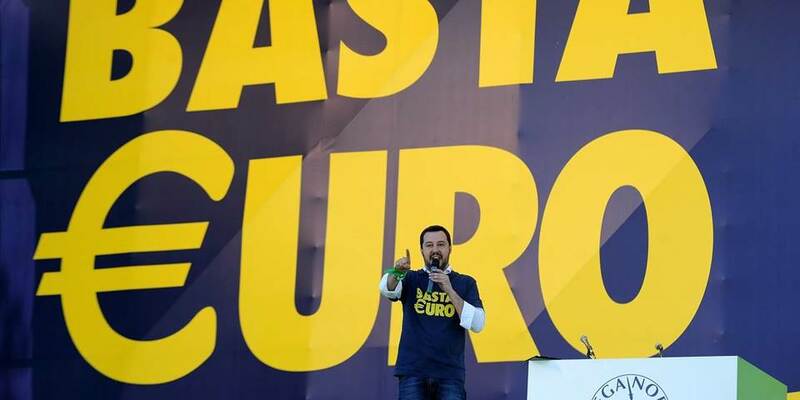 The country’s two ruling populist parties, the League and the Five Star Movement (M5S), together commanded 50% of the vote in the March 4 general election, and, as a result, have majorities in both houses of parliament. Their majorities may be slim, but the election, in which the main center-right and center-left parties eked out just 33%, was a resounding repudiation of the status quo. The second point is less well known, but even less controversial: recent polls show that 60-72% of Italians favor the euro. Some believe the single currency safeguards their savings, while others regard it as an emblem of Italy’s status as a founding member of the European Union. But if motives differ, the balance of public opinion does not. Bowing to this reality, the coalition partners have now dropped the idea of abandoning the euro, expunging the possibility from their “contract” and respective websites. Paolo Savona, a diehard opponent of the euro, has been denied the finance ministry. But Carlo Cottarelli, whose proposed appointment at the head of a technocratic government would have disenfranchised a majority of voters, has also been denied the reins of power. Appropriately, given the election result, Italians now have their populist government and their euro, too. Keeping them will be another matter. If its initial measures fail to deliver economic growth, the new government will lose popular support. In desperation and anger, its leaders may then resort to even more extreme policies. Support for the euro will weaken as well, because the government and its backers will blame the EU and its most visible achievement, the euro, for frustrating their best-laid plans. Indeed, it is not hard to imagine that if the coalition proceeds with its ambitious fiscal plans, instituting both a flat tax, as the League proposes, and a universal basic income (UBI), as M5S advocates, it could blow up the budget deficit. It would then be sanctioned by the European Commission, deemed ineligible for financial support by the European Central Bank, and experience capital flight. Italy could quickly find itself out of the eurozone and ring-fenced by capital controls, regardless of whether the government intended this outcome. In fact, the argument for a measured fiscal stimulus is sound – just not the kind of fiscal stimulus the League and M5S have in mind. An economy in Italy’s condition needs “two-handed policies”: supply-side reforms of labor and product markets to boost productivity and international competitiveness, accompanied by demand stimulus to prevent the uncertainties of reform and the surrounding political noise from depressing spending. Although Italy has a heavy debt burden, it also has a modicum of fiscal space, given low interest rates and a primary budget surplus. But whether the government will use that space to get growth going again is very much in doubt. The League’s flat tax would benefit mainly the rich, who have a relatively low propensity to spend, and aggravate complaints about inequality. And, given its dire fiscal implications, M5S’s proposed UBI would trigger a sharp reaction by financial markets. A better approach would be to cut payroll and social security taxes, thereby reducing the third-highest tax wedge in the OECD. This should appeal to M5S voters, who would see bigger pay packets. To the extent that the recipients spend the additional pay, the tax cuts will stimulate demand and growth. But these are also supply-side-friendly reforms, because they reduce the cost of labor and, by getting people into employment, facilitate the transmission of productivity-enhancing skills. They should also appeal to the League, insofar as business owners who support party leader Matteo Salvini will benefit from declining costs and enhanced competitiveness. Will the European Commission permit the Italian government to exceed its mandated deficit target? The Commission worries, as always, about setting a dangerous precedent. But it should realize that frustrating the new government at every turn could end up only making the Italian authorities more intransigent. If the alternative to a modestly larger budget deficit, coupled with supply-side reforms, is a let-it-rip budget, open conflict with the EU, and massive capital flight, then the Commission would do well to think twice. The view within EU institutions in Brussels is that, when sanctioned by the Commission and by financial markets, Italy’s new government will change course, abandoning its fiscal ambitions to avoid catastrophe. But the view in Rome is that the new government has the voters behind it and that Italy is too big to fail, so it is the Commission and the other member states that will blink. In America, there is a name for this situation. It’s called a game of chicken: two cars hurtle toward each other at full speed; the driver who swerves first is the chicken. It is a game that does not always end well. 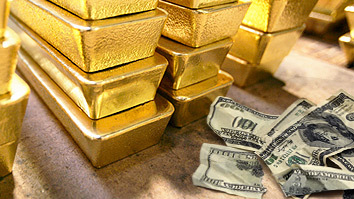 This has been a uniquely boring stretch for gold and silver – especially considering all the things going on in the world that ought to light a fire under precious metals. In just the past few weeks, the US started a global trade war, Italy elected a populist government, emerging markets descended into yet another crisis, and inflation has risen from the dead – all of which would be expected to spook normal financial markets and send capital pouring into safe havens. But not this time, which leaves precious metals under the control of seasonal factors that have over the years generated the “sell in May and go away” rule-of-thumb. So when do the summer doldrums end? Based on recent history, December is a pretty good bet. The arrows on the following chart mark the beginning of each year since 2014. Note how gold’s price frequently starts moving up either then or a few weeks before, in early December. This seasonal strength is due to Asian buying in anticipation of weddings and harvests, and though you’d think traders would anticipate – and therefore cancel – the cycle’s impact, it still seems to opérate. Prior to 2014 the pattern was slightly different. Here’s a chart from Casey Research showing gold’s average performance for each month between 1975 and 2013. September was by far the best month to buy, with January the second best, implying a eight-month window beginning in July in which buying was rewarded with at least short-term gains. If the second pattern re-emerges, then we really don’t have long to wait at all. Maybe one more month and at most three, and gold bugs can start having fun again. As always, though, deciding when to buy precious metals is just the first in a series of challenges. Choosing the right dealer is paramount (see here for a list of reputable ones), followed by whether to take delivery and store the metal at home or seek secure vault storage for gold and silver. And then there’s the bullion vs mining stock question. The former is money which will hold its value over long periods of time (thus preserving your purchasing power) while the latter are investments that can rise by multiples of their original cost or disappear without a trace. Jay Taylor’s newsletter is a good source for intelligence on the explorers, the riskiest and potentially most profitable segment of the mining market. Is the Russian Economy Defying Western Sanctions? In a recent interview, Russian President Vladimir Putin said the Russian economy had overcome some significant challenges over the past several years, namely Western sanctions imposed after Russia’s annexation of Crimea and the global slump in oil prices. According to Putin, inflation is the lowest it has been in modern Russian history, gold and foreign reserves are growing, economic growth is slowly rising and foreign direct investment is increasing. The effects of Western sanctions appear to be easing. In 2015, Russian gross domestic product declined by 1 to 1.5 percent due to sanctions. In 2017, this number declined to 0.5-1 percent. If the Russian economy really is recovering, it would give Russia a better negotiating position when it comes to the conflict in eastern Ukraine and would diminish some of the leverage the West gained through sanctions. We previously forecast that Russia couldn’t afford to be isolated from the global economy any longer and would therefore be forced to make concessions on Ukraine to gain some relief from sanctions. But these new indicators have made us take a second look at that forecast. The Russian economy has indeed displayed some surprisingly positive results in 2018. The State Duma reviewed the federal budget on June 7, and for the first time since 2011, Russia is expecting a budget surplus – totaling 0.5 percent of GDP, or roughly 481.8 billion rubles ($7.7 billion), this year. According to the review, state revenue so far in 2018 was 17 trillion rubles – 2 trillion rubles more than was expected in the budget released in December. And according to the minister of economic development, Russia’s GDP in 2018 may exceed 100 trillion rubles – an increase from 92 trillion rubles in 2017. The World Bank has confirmed that the Russian economy is improving and forecasts that the growth rate will reach 1.5 percent in 2018 and 1.8 percent in 2019-20. In addition, the Russian government expects that non-oil and gas revenue will continue to grow by more than 1.8 trillion rubles in 2018. The government has also said about 60 percent of Russia’s income is not related to oil and gas. But Russia’s moderate recovery was largely due to the increase in oil prices since early 2018, leading to an increase in revenue by 1.76 trillion rubles. And despite the government’s efforts, the economy is still heavily dependent on the energy sector. In the first quarter of this year, oil accounted for 27.4 percent of Russian exports, and fuel and energy products accounted for 42.5 percent, largely unchanged from 2017. In addition, Russia’s National Wealth Fund has increased due to higher oil prices, but only marginally. In May, the fund grew by 5 percent if calculated in rubles, but in dollars, it actually declined by 3 percent, or almost $2 billion, due to the weak Russian currency. For now, Russia has chosen not to spend this money but rather to save it in case it ends the year in a deficit. Even if the economy has improved on the macro level, it seems that Russians remain skeptical. Polls by the Russian Public Opinion Research Center show that the private sector still believes that the economy is struggling. In fact, 69 percent of companies said they believe the government’s economic policies will be ineffective, a 5 percent increase from last year. Business leaders cited economic uncertainty, rising taxes and declining domestic demand among the most important causes of the negative business environment in the country. In the first quarter of 2018, consumer debt reached 4 trillion rubles, increasing by 5 percent compared to the same period in 2017. Almost half of this amount consists of overdue loans. A recent poll commissioned by the central bank showed that inflation expectations in Russia increased to 8.6 percent in May from 7.8 percent in April, partly due to the rise in gasoline prices by 5.6 percent from May to April and by 11.3 percent in annual terms, sparking fears of rising food costs. Eighty-three percent of Russians expect their financial situation will deteriorate due to rising gasoline prices. Indeed, Russia has seen some growth but little development. In May, following March elections, Putin outlined the economic goals of the new government. In the next six years, he said, the country will be among the five largest economies in the world and will have a growing population, increased life expectancy to 78 years, sustainable income growth and reduced poverty. According to Putin, the country would need an additional 8 trillion rubles to achieve these goals. Yet, it hasn’t made any serious reforms that will increase government revenue to this level or transition the economy away from resource dependence. The government has admitted that it currently doesn’t have the money to fund Putin’s plans, and so it has to either raise more money somehow or cut spending. But if oil prices don’t continue to rise, the government still has few options to raise revenue. The share of the population that’s economically active is declining and incomes have been falling for years. Raising taxes would only increase the burden on this already overburdened group. (The government is actually looking at cutting excise taxes on diesel, a move that would slash regional budgets.) The government therefore has been considering raising the retirement age and implementing pension reforms to cut public expenditures. But these are highly unpopular measures. The more difficult economic conditions in the country become, the more Russia will be willing to make compromises in places like Ukraine. This is why it’s important for Russian officials to tout the country’s economic successes, however small and temporary they may be. A strong economy can show the world that Russia is able to withstand the West’s efforts to rein in its foreign policy – which it’s not prepared to do just yet.